Getting a home equity loan with poor credit is more difficult, but not impossible. Before you decide to make improvements to your home or decide that you need some quick cash, you need to find out if a lender is willing to give you a home improvement loan and how your loan will be affected by your bad credit score. There is no exact rule when it comes to which credit scores are accepted and which are not. The bottom line is that, because you are using the equity in your home as collateral, you are more likely to qualify for a home equity loan than for a traditional loan or a credit card if you have a low credit score. This is especially true for homeowners who have built a large amount of equity in their homes. Home equity loans allow homeowners to borrow cash against the equity in their homes. The longer you have paid for your mortgage, the more equity you will have, therefore being able to borrow more. Typically, lenders allow borrowers to take out a maximum of 80 percent of their home equity in a home equity loan. Home equity loans can be used to finance a home renovation project, pay for school tuition or medical bills. Because you use your home, which is probably your largest asset, as collateral when taking out a home equity loan, your interest rates will be much lower than interest rates on credit cards, or even other loans. This makes home equity loans a good choice when it comes to borrowing money, if you have enough equity built in your home. Your home equity loan will also most likely have a tax-deductible interest, making it even more attractive than credit cards or other types of loans, such as a car loan. Home equity loans can be taken out as a lump sum or as a line of credit similar to how a credit card works, but with lower interest rates. However, home equity loans are also risky because they are affected by how the housing market fluctuates. If home prices decrease dramatically, you lose home equity and risk having to repay the home equity loan even if you sell the home. Get a credit report. Find out what your credit score is and what your credit report shows by getting a copy. You are entitled to one free credit report per year, so this shouldn’t even cost you anything. Knowing what your credit score is will help you in your search for a lender, and avoid unpleasant surprises and wasting time. Try to find any errors on your credit report and have them corrected. Improve your credit score. Assuming you are not in a hurry to get a home equity loan, you should do your best to improve your credit score. Besides correcting errors on your credit report, you should stop making the same mistakes that got you into debt. Try paying off some of your credit card debt and improve your debt-to-income ratio. Figure out how much you will be able to borrow. Because your credit is bad, you should keep in mind that you will get higher interest rates on your home equity loan. Keeping the interest rate in mind, try to find out how much you can borrow without having difficulty paying it back. Also, remember that you can only borrow up to 80 percent of the equity in your home. Shop around for a lender. All lenders will give you a higher interest rate than they would give to a person with good credit, but that doesn’t mean you shouldn’t shop around. Even a very small difference in interest rate can make a large difference in your pocket over time. 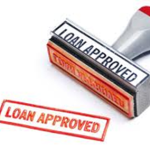 Apply with several lenders and be prepared to provide documentation regarding your credit score, income and debt. Home equity loans with a bad credit are possible, but before committing to any type of loan, you should explore your options and decide what works best for you. Keep in mind that, even if a home equity loan will be granted to you much easier than other types of loans when you have a bad credit, it will have a larger interest rate, and you will essentially use your home as a collateral. If you have decided that an equity loan on your home is the right choice, a little discipline and research will ensure that you have access to the equity in your home without encountering any issues.